A council said it has made "significant improvements" to its social services which were criticised following the death of a mother and her disabled son. Heather Wardle, 39, was found with a dressing gown cord around her neck near her home in Loxley Close, Redditch, Worcestershire, in April 2008. Her son James Hughes, 21, was found dead at home in a suitcase days later. A report at Mr Hughes's inquest blamed Worcestershire Social Services for "not being assertive enough" with Ms Wardle. Social workers who visited the family's home were told by Ms Wardle that Mr Hughes was away visiting his father and they failed to see him. On another occasion, Ms Wardle had told social workers that Mr Hughes would soon again start attending a day care centre. However, he never did and social services never followed it up. 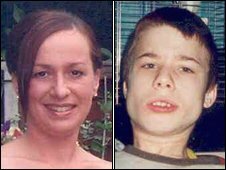 Steven Chandler, from Worcestershire's learning disability group, told Mr Hughes's inquest in December that Worcestershire County Council's failure to hold an annual review of Mr Hughes' care after 2005 constituted a serious error. The county council said it had taken the criticism on board and had put measures in place to help avoid anything similar happening in the future. Eddie Clarke, chairman of Worcestershire's safeguarding adults committee, said the council had introduced disciplinary procedures and revised training and guidance for staff.